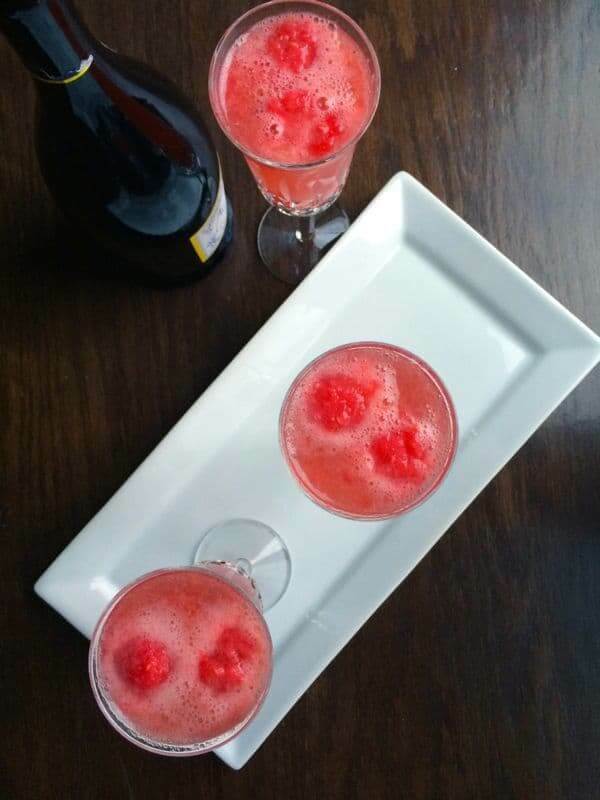 A simple, refreshing cocktail made with fresh raspberry ginger sorbet and bubbly prosecco. 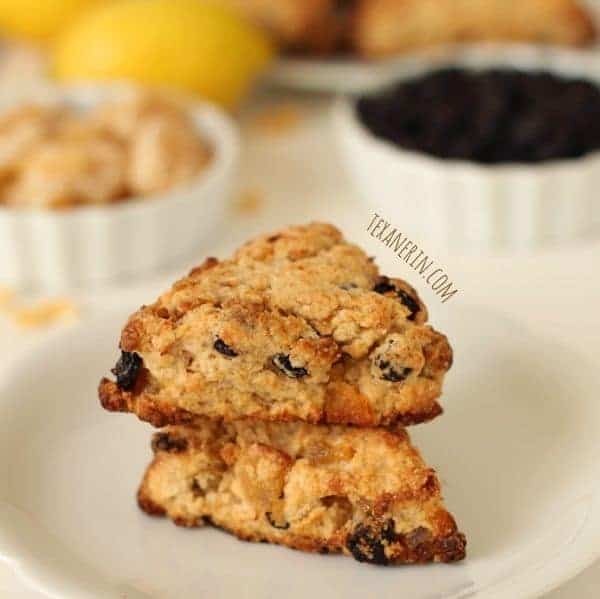 Ideal for entertaining a crowd or a casual date night for two. Nothing says summer to me quite like a perfectly chilled glass of prosecco. Slightly sweet, bubbly and effervescent, it cheers me up after just one sip. 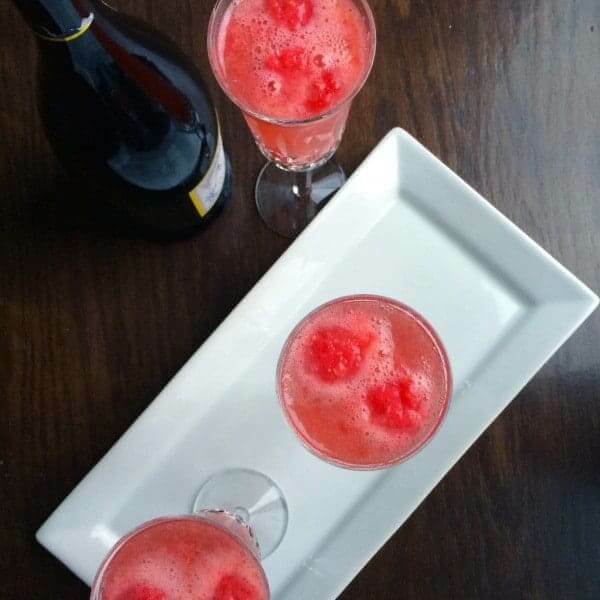 Delicious on its own but even better turned into a simple, show-stopping Raspberry-Ginger Bellini. Any store-bought sorbet would work but I loved using my easy homemade Raspberry Ginger Sorbet. 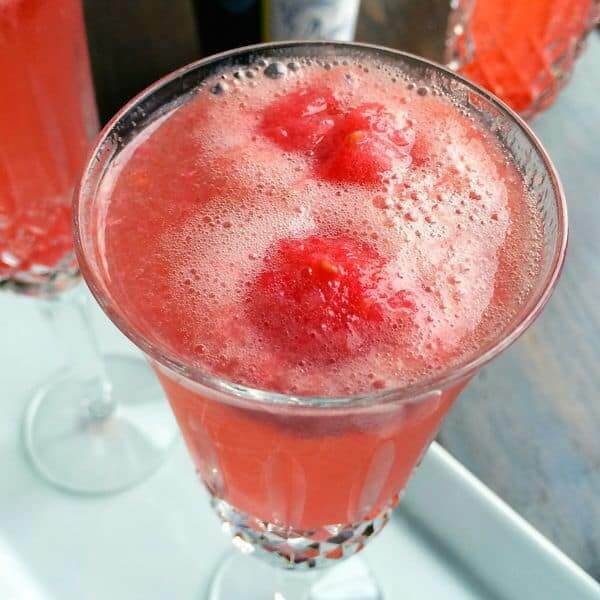 The raspberries and ginger gave this cocktail just the right amount of tart and slightly spicy notes to balance out the sweet prosecco. Alternatively, if you don’t have sorbet on hand, simply puree any fresh fruit you have on hand with a little bit of sugar and add it to the bottom of the champagne flute. The best part is that this cocktail comes together in about 30 seconds. 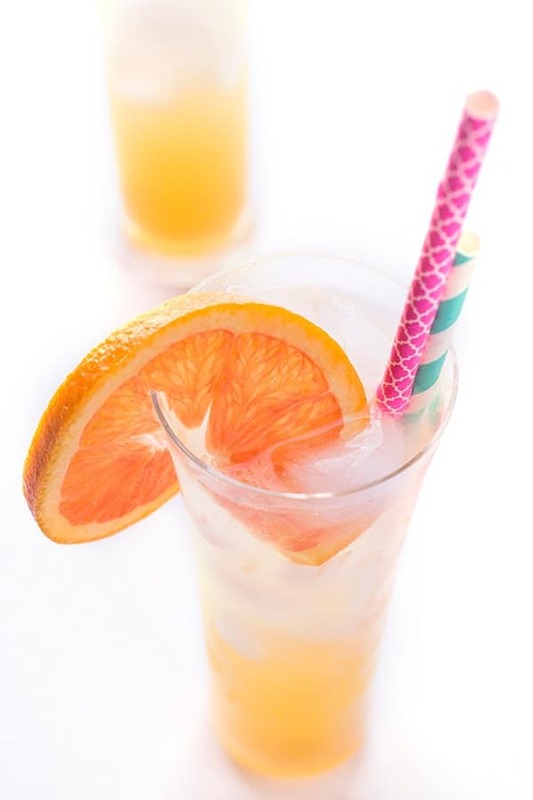 Ideal for having friends over or a romantic date night for two, you are going to love this summer sip. Set out 6 champagne flutes and fill each one with one or two small scoops of sorbet. Fill each glass with prosecco and serve immediately. 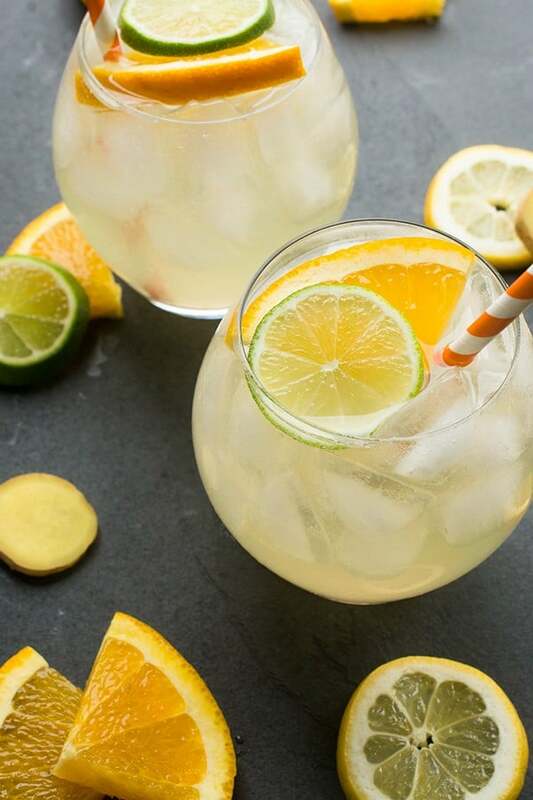 Ready for more summer sips? Check out these tasty ideas developed just for Food Network’s #SummerSoiree! I wish we were sipping it together! This looks fabulous, especially with that homemade sorbet!!! Soooo summery. Yes I am such a fan of homemade sorbet now that I’ve made it!! This is just gorgeous and so refreshing! I must try this! Putting it in the line up for a summer happy hour! Yes!! Mamas need a happy hour! Love this fun take on bellinis!! 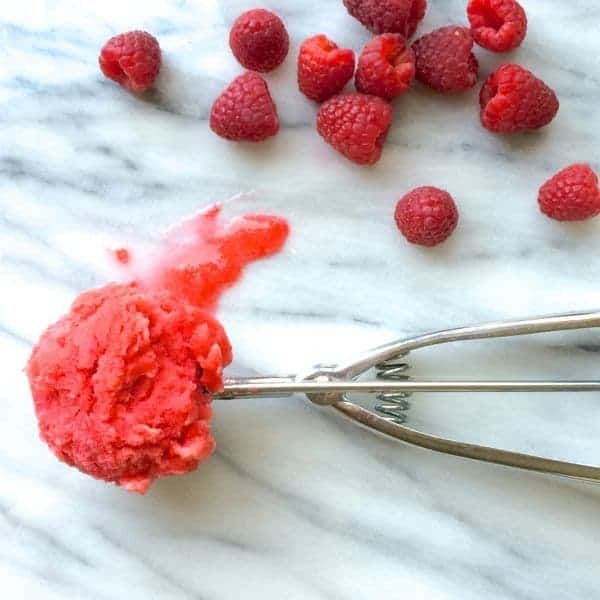 Raspberry-ginger sorbet is right up my alley….cannot wait to try this! I hope you like it Kelli! YES totally!!! I love fizzy punch! Fruity and boozy? I’d like a pitcher full, please! Sending a pitcher your way!